The information is also provided pursuant to Legislative Decree No. 196/2003 - Code regarding the protection of personal data and pursuant to articles 13 and 14 of the U.E. n.679 / 2016 (GDPR) to those who interact with the web services provided by the site, accessible electronically starting from the address www.sicurcasaimmobiliare.it corresponding to the initial page of the site. 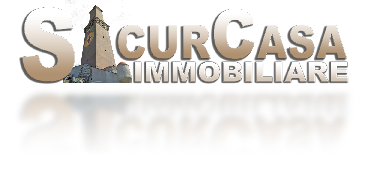 The validity of the information contained herein is provided only for the site www.sicurcasaimmobiliare.it and does not extend to other websites that may be consulted by the user via links. The person in charge of processing in accordance with Article 29 of the Code regarding the protection of personal data is the Real Estate Agency "Sicurcasa Immobiliare by Eugenio Del Gaizo" in the person of the owner, who personally takes care of maintenance of the site update. The processing of data connected to the web services of this site and to any request for information and / or contact forms takes place at the headquarters of the Real Estate Agency Sicurcasa Immobiliare and is treated, also by electronic means and subject to the adoption of appropriate security measures , by staff on duty at the office in charge of processing. All personal data provided through the Site will be processed lawfully and fairly in order to provide the requested services and to respond to user communications and questions. This category of data includes the IP addresses or domain names of the computers used by users connecting to the site, the URI (Uniform Resource Identifier) addresses of the requested resources, the time of the request, the method used to submit the request to the server, the size of the file obtained in response, the numeric code indicating the status of the response given by the server (success, error, etc.) and other parameters relating to the operating system and the user's IT environment. The navigation data are acquired not for the purpose of user identification, but for the sole purpose of collecting anonymous statistical information on the use of the site and its services and to check its correct functioning and is deleted immediately after the processing. The data could be used to ascertain responsibility in case of hypothetical computer crimes against the site: except for this eventuality, the data on web contacts do not persist for more than seven days. Through the site it is possible to send requests for information or contact through the addresses and contact telephone numbers listed on the site. The provision of such data is mandatory, necessary to respond to the requests sent as well as to contact the sender again in order to obtain details as to what was reported. The optional, explicit and voluntary sending of e-mail addresses of telephone numbers to the addresses indicated on this site entails the subsequent acquisition of the sender's address, necessary to respond to requests, as well as any other personal data included in the message. Cookies are small text files that the visited sites send to the user's terminal, where they are stored, to then be re-transmitted to the same sites on the next visit. session cookies whose use is not instrumental to the collection of personal identification data of the user, being limited only to the transmission of session identification data in the form of numbers generated automatically by the server. Session cookies are not stored permanently on the user's device and are automatically deleted when the browser is closed. third-party cookies for viewing videos on YouTube. analytics cookies used to collect information, in aggregate form, on the number of users and how they visit the Site. In order to respect the privacy of our users, the service is used with the "_anonymizeip" mode which allows you to mask the IP addresses of users who surf the website. The data is collected for the sole purpose of processing anonymous statistical information on the use of the Site and to verify its correct functioning; the navigation data could be used in view of the identification of the user only if this was necessary for the ascertainment of computer-related crimes. Technical cookies are not used for user profiling activities. Apart from that specified for navigation data, the user is free to provide personal data contained in the request forms to the Sicurcasa Immobiliare Agency to request further information and / or documentation, to set appointments, or other communications. Failure to provide such data may make it impossible to obtain what is requested. Users may at any time exercise the rights provided for by article 7 of the Privacy Code, in order to obtain confirmation of the existence of their personal data and to know their content and origin, verify their accuracy or request integration or updating, or rectification. Pursuant to the same provision, the user may also request the deletion, transformation into anonymous form or blocking of data processed in violation of the law, and in any case, for legitimate reasons, oppose their processing.